We have all seen the rise of the electric vehicle in recent years thanks to Tesla, first with their roadster and recently with the success of the Model S and soon the Model X. Despite the finances not being where the company probably wants them, they must feel pretty happy with progress, especially as they are slowly conquering the world with their technologies. Electric cars have been around in many forms for decades and never really took off from a sales volume perspective. GM didn’t help by scrapping all the EV1’s against the wishes of the lessors who loved them and many cars have looked more like toys than real cars. Tesla and Fisker changed all that. Fisher sadly keeled over after a few years leaving Tesla as the dominant player. With Tesla taking market share from petrol, diesel and hybrid vehicles, it was logical for more companies to try and take a slice of the pie. 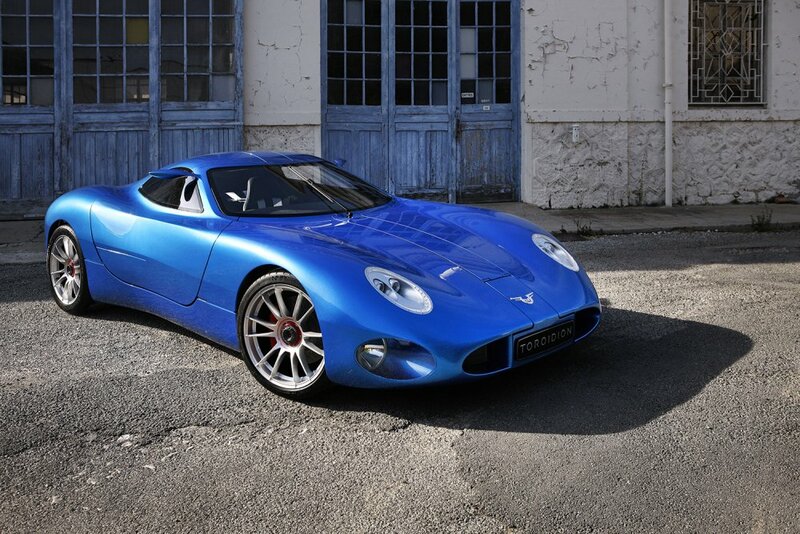 #1 The first rival is the Toroidion 1MW Concept, shown earlier this year with a 1 megawatt motor (equivalent of about 1,300hp). The plan with this car is to go racing first to develop the reliability and then go to market for road use. Toroidion was established four years ago to develop an entirely new electric powertrain that would be competitive at the Le Mans 24 hour using a rapid battery swap system. Pasi Pennanen, a car designer who has worked for Jaguar and Honda, says that one day his technology could power electric cars for everyday use. “What we have achieved is going to revolutionise the electric vehicles globally. We have patented this revolutionary new thing. It is expensive technology and we know that there will be a lot of interest. We’re creating a top of the pyramid.” I don’t quite know what he means, so we’ll have to wait and see if Toroidion is a success! #2 The Fisker Karma is a four door sports saloon that looks like a competitor to the Maserati Gran Turismo and the larger upmarket GTs. Henrik Fisker who ran a coach building company before this venture says that the car is the height of a 911, the length of a Mercedes CLS and the width of a BMW 7 series. 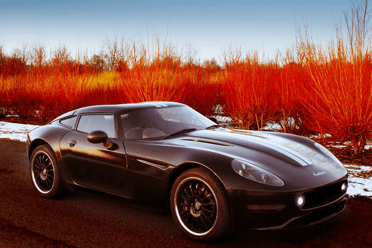 Clearly Fisker (a Dane) loves German cars – he did design the BMW Z8. Fisker use Q Drive from Quantum Technologies which uses a small petrol generator to power an electric motor that drives the vehicle. This appears to be not so dis-similar from the approach that GM and Chrysler have taken where the generator kicks in when the batteries are going flat! So it could be classed as a hybrid. Recently Fisker announced a rebirth after being bought by the Chinese Wanxiang Group and they have invested in a new plant near Los Angeles. Production is expected to start soon and they will also be creating a second model to compete head on with Tesla possibly using redesigned batteries from A123 – the same company whose earlier batteries caused Fisker a load of pain with failures and fires! A123 is also owned by Wanxiang and other reports have suggested that they will not be supplying the batteries, so we will have to see where they come from when shipments start by mid next year. 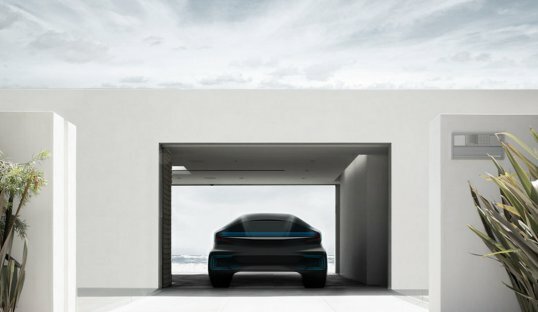 #3 Faraday Future (or FF) is a startup wanting to deliver their electric cars by 2017 – a scant 18 months away. 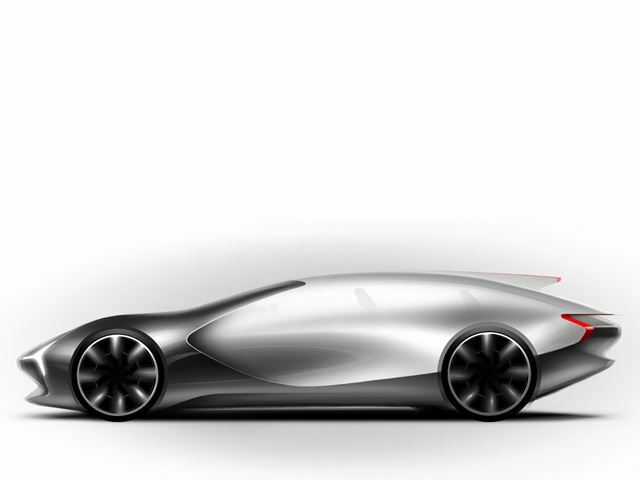 They don’t have a manufacturing facility as yet and are based in an ex-Nissan design studio with some interesting people on board with experience from Tesla, BMW’s i series electric cars, the Chevy Volt and designers from Italian supercar manufacturers. Watch this space for developments! #4 Spyker is to be reborn as an electric vehicle supplier. Spyker, like Fisker, is rising from the ashes of a recent collapse and a merger with an electric aircraft manufacturer. 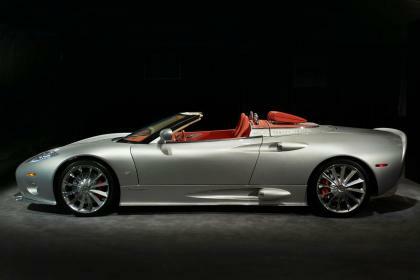 Spyker are the kings of mergers to keep them going, having had a go with SAAB and cash from China and other places. Now with Volta Volare who produce a 300KW motor for planes, they plan to fit the motor into the sports cars that Spyker are famous for. #5 Le Supercar is from a Chinese billionaire. This car is still a drawing at the moment with reports that a “car” will be seen at the Beijing Auto Show in 2016 and shipments to be from 2018. Apparently $1.2B has been invested with 600 employees and more offshoots from BMW and Tesla working there. Jia Yeuting who owns LeTV and made his money with a Chinese style NetFlicks and smart TVs and phones is the man with the cash. This really is a wait and see project! #6 The EVX Immortus is a concept from Australia that will be a solar powered car. They plan to build 100 units for very wealthy people (with $400,000 to spend) and do not want to be considered a competitor to Tesla because they are only going to make the technology to power the car – they plan to buy all the other components from somewhere else. They want money to continue their dream and they are open to moving to California from Melbourne if needs be. The underlying technology is sound – it has been tested in the World Solar Challenge race and comes from a local university. It is the surrounding bits that are of concern to me. You can’t cobble together a vehicle for that price and expect it to a) meet Government regulations, b) have a good safety rating and c) look great! The renderings do look like a Ferrari 458, so maybe they can sell their tech to the Italian Stallion – which would certainly match the selling price of their cars! #7 The Lightning Car Company in the UK is developing a swoop coupe that has design elements from Lotus and the Jaguar F Type. Like other manufacturers they want to build a modular design so that they can offer an SUV, sports car and sedan using Litium Titanate batteries. The technology is from Altairnano in the US who have developed the NanoSafe battery. These batteries use no heavy metals or acids and last around 4-5 times longer than current batteries. The batteries take 10 minutes to charge instead of the trickle charge of other types. Only 30 are used in the car as opposed to the 1,000s of Li-ion’s used in other vehicles.The Lightning uses Hi-Pa Drive from a British company, PML, that mixes the motor and electronics in one unit that is built into the wheel assembly, therefore no heavy drivetrain. At this stage there is little info to go on and if you connect via their website, you will be connecting to an Australian actress: Cass Charlick, so not sure what is going on there! #8 Phoenix Motorcars in the US use the same battery technology as the Lightning and sell two models, the SUT and SUV. At no stage do they say that the SUT is in fact a SsangYong Sport Dual Cab and the SUV is a SsangYong Actyon, both built in Korea. Phoenix will “manufacture” these vehicles in L.A. – by “manufacture” I suspect they mean add in the batteries and motor to the imported three-quarter built car. Presumably these models were found to have the best under floor storage for the batteries although having the original engine swapped for a small electric motor driving both front wheels would seriously unbalance the vehicle! This is actually quite a good idea as the technology can be retrofitted to other vehicles if required. There will be more competitors over the next few years as the technologies develop further and as the concepts described here come to fruition. Stay tuned – there will be lots of updates I’m sure! First published: 12th September 2015. Last updated: 10th June 2018 (new links). Thanks for that useful state of the art summary Stephen. I am hoping that the planets may one day align and a Tesla P85D could grace the shed. But it seems by the day that could possibly happen there will be a few other potential candidates to aspire to, oh happy days. Rightio, better get saving quick smart as it is already a big stretch to get there from the here and now….! Give it 5 years and electric cars will be a sensible price and a sensible configuration. The Tesla Model X will see to that! My personal belief is that the home battery kit that Tesla launched recently will be a game changer that helps reduce the price of new car models which in turn will pressure other niche manufacturers to either licence their systems or drop out of the market altogether.